Founded in 2003 by twin brothers Antony and Richard, Joseph Joseph specialises in creating design-led products for the kitchen and home with a strong emphasis on form, functionality and quality. As one of the fastest growing companies in the worldwide homewares market, the brand has become renowned for innovating everyday products and creating brilliantly useful design. 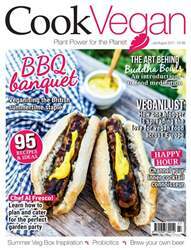 As a special treat for Cook Vegan Magazine readers, Joseph Joseph are giving away their entire Opal range worth £255! Featuring some of the brand’s best-selling products in a fresh new colourway, this prize has everything you need to kit out your kitchen!